The story on everyone’s lips right now is just how hot is has been. From L.A. to Laconia the miserable, suffocating, dog days of summer are upon us. You know it’s hot when you take a dollar out of your wallet and find it is wet from perspiration, when you carry around a bandana to wipe your forehead so the sweat doesn’t get in your latte, make no mistake, it is something that we deal with every summer. This summer, however, isn’t it time to try something a little different? At Kirks Flyshop, we have just the way to beat the heat without having to resort to renting an industrial ice maker to sleep in. If there is one thing that those that spend a lot of time in the mountains it is this, there is no better place to be in the summertime. The days may still be a little toasty but in the evening and nights, the weather is to die for. It is as if the earth exhales and you are magically transported to a different climate, one where temperature is not an issue and the fish are always biting. Fly fishing in the evening is one of the most memorable experiences you can have. What happens in the early afternoon until sundown is a truly magical event, and not just because the temperature has finally turned pleasant. These evenings are when the bugs that have been scuttling around underwater, pop out and take flight. These hatches are an exceptional time to catch a monster Rocky Mountain trout. 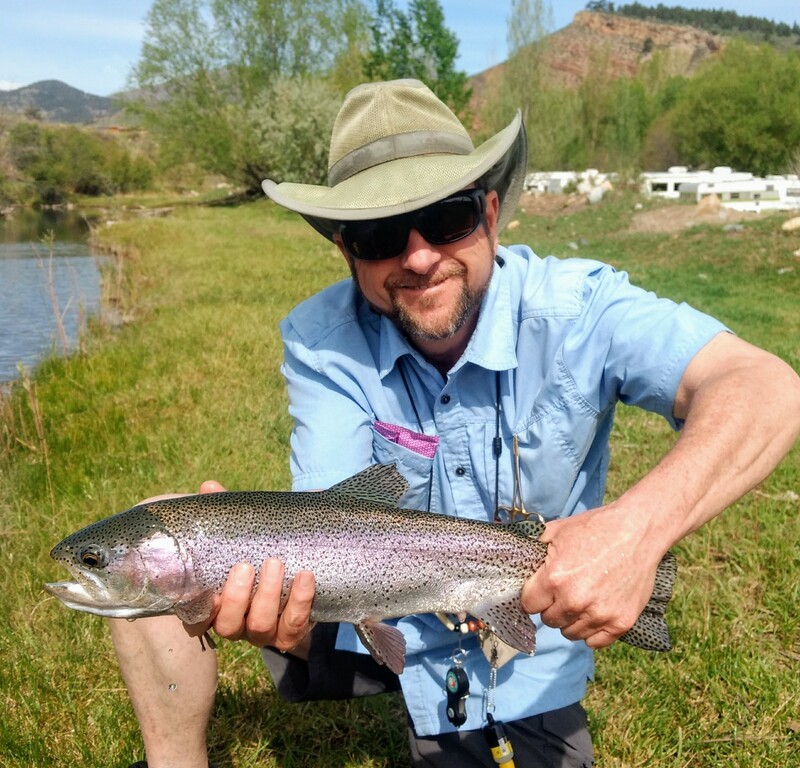 Not to say that the hatch is easy to fish, on the contrary, catching fish in the middle of a hatch requires an intimate knowledge of fly patterns. 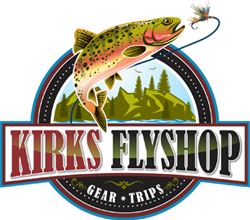 The guides at Kirks Flyshop are experts at matching the hatch and the action will be so hot that you will forget how cool the Rocky Mountain Nights can be. Ready to take your adventure to the next level? Ready to really cool off but have an intense desire for a unique experience that is virtually unheard of anywhere else? 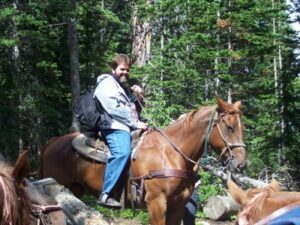 Kirks Flyshop, being a truly western institution, is offering a horseback riding trip to some of the Rocky Mountains finest fly fishing waters. Explore incredible trout waters that many are not able to experience. Not only are the views spectacular but the weather is equally as amazing, you may even encounter some snow! Regardless of how you decide to keep cool with Kirks Flyshop this summer, whether it is a horseback riding trip to a pristine mountain lake or an otherworldly evening hatch, book now. As we speak, the days are getting shorter and the summer is slipping away, soon the high lakes will be socked in with a layer of ice and the window will be closed for another season. That being said, fall is an amazing time to fish the rivers and no other guide company will guarantee to put you on the fish like Kirks Flyshop. Book your summer trout adventure today!